ACCA F3 paper comes with a well designed syllabus that helps new comers to understand the basics and also enable them to quickly grasp some of the advanced accountancy knowledge that will be required heavily at the later stage in ACCA course. ACCA F3 starts with introducing the very purpose of accountancy and what kind of information is regulated using international accounting standards and what in fact make the financial information useful for its users. Beside that, it explains the basic accounting concepts and how bookkeeping is done and how accounting records are maintained. It also involves the preparation of financial statements for sole traders, partnerships and companies. Moving further and taping advanced concepts like correction of errors, use of control accounts and preparing complete set of financial statements using incomplete (single entry) records. Why organizations and other users of financial information need such information and how it helps them in making many of economic decisions rationally. ACCA – F3 is examined through Computer Based Examination (CBE) or Paper Based Exam. Each paper contains 50 two-marks questions. Format of questions will of varying nature i.e. they can be multiple type, multiple response, number entry etc. 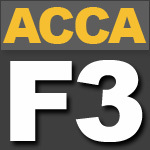 Access FREE ACCA – F3 video lectures exclusively available on this website. 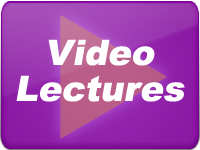 These video lectures give you all the tips, tricks and guidance to top your F3 syllabus and pass the exam with great confidence. Access FREE ACCA – F3 Practice questions. As past papers for ACCA – F3 are not available these practice questions can help in great to deal to practice different concepts examinable in ACCA – F3 course. Access eX-clusive! FREE ACCA – F3 Mock Exams. These free mock exams enable you to check, test, stress yourself in every possible way so that you enter exam hall confident. 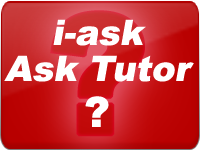 These mock exams come in MCQs format and also include other types of questions.